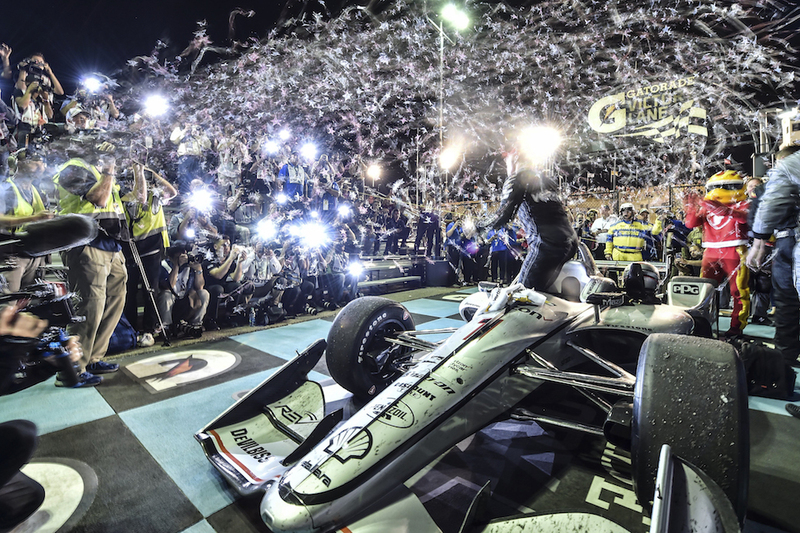 Reigning IndyCar champion Josef Newgarden listened, drove, and delivered for Team Penske by climbing to the top step of the podium on Saturday night's IndyCar Grand Prix of Phoenix. SPM Racing's rookie Robert Wickens and Andretti's Indy 500 winner Alexander Rossi followed in second and third place. 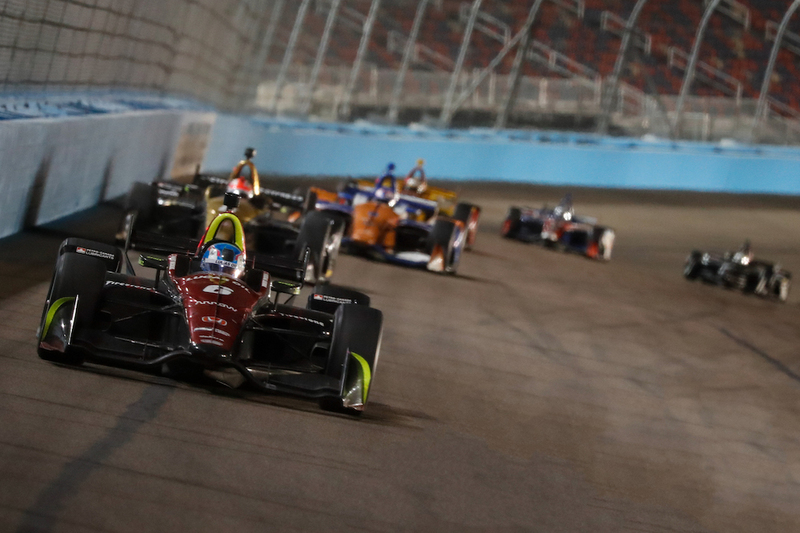 The 2018 IndyCar Grand Prix of Phoenix took place on the 1.022-mile oval of ISM Raceway, which saw an impressive 12 lead changes and nine different leading drivers through the duration of the 255.5-mile race. Much to everyone's surprise, the short oval only saw two caution periods due to on-track collisions, robbing a total of 23 laps from the grand total of 250. The deciding phase of the Grand Prix didn't come until lap 229 when Ed Carpenter crashed and brought out the second and final yellow flag, prompting race engineers to decide whether their respective drivers should risk losing track position and pit for fresh tires or remain on track and fight until the end. After electing for the former, Newgarden blasted to the front after racing resumed on lap 243. 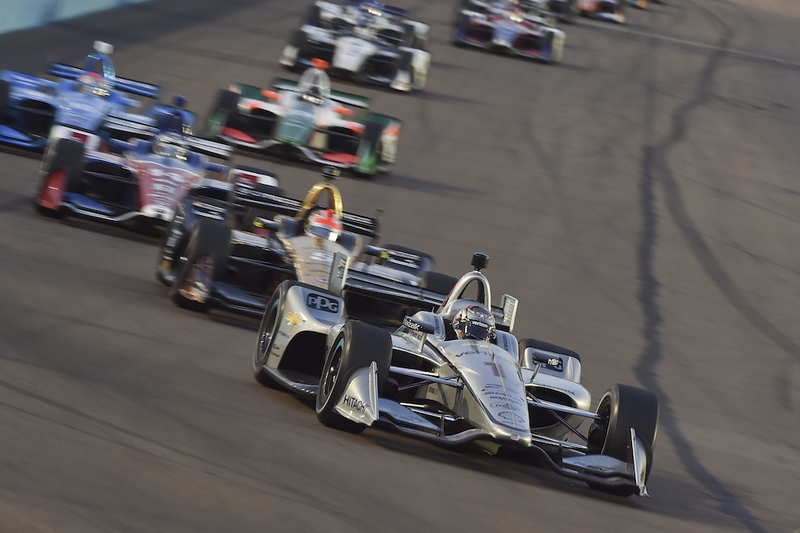 Wickens, who chose to remain out on old tires, was left defenseless and surrendered the lead of the race to Newgarden with just three laps to go. Now in second place, Wickens had to face his St. Petersburg archnemesis, Alexander Rossi, who despite having a rocket-ship of a car couldn't execute a pass before the chequered flag fell. 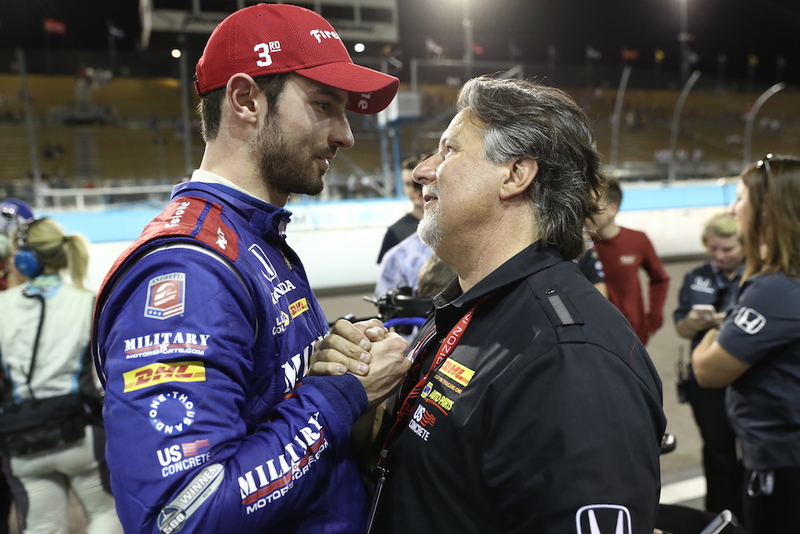 Chip Ganassi Racing's Scott Dixon drove a squeaky-clean race to finish in fourth place, with Andretti Autosport's Ryan Hunter-Reay taking fifth and Wickens' SPM Racing teammate James Hinchcliffe wrapping up the top six. The second race of the 2018 racing season, which was also the first oval of the year, was ruled by Honda engines, which claimed five of the top six spots with the exception of first place. The Grand Prix of St. Petersburg saw its top six commandeered by all Honda engines.